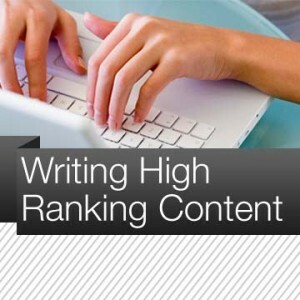 Writing content for you website can seem like a difficult task, especially considering the emphasis on SEO techniques. However, focusing on writing for Google’s algorithm rather than your average site visitor can lead to poor results. Instead focusing on natural content could be a winning strategy. Think about key questions potential customers may be searching for and provide answers. Consider writing longer more in depth content. The average web page on the first page of results include content over 2,000 words. Also more in-depth articles usually get more shares and are linked to more often than short ones, both of which are sure to improve your ranking. However, don’t try to stretch content for search engines but share your knowledge, experience and insight with your audience. Lastly, including keywords into your content is important but don’t let it take up too much of your time or effort. Here are a couple more tips regarding keywords. • Don’t worry about keyword density. There is no evidence that it will improve your Google ranking. Use your keywords naturally and focus more on providing good, relevant content. • Use related keywords, synonyms and grammatical variations. Your content will still come up as relevant without overusing a keyword. • Use Google Tilde to find related keywords. Search for a word with ~ in front of it and Google will show related words at the bottom of the page that they find relevant to your search. • Take advantage of the long tail. These are the smaller less competitive keywords or phrases. Sometimes focusing on more specific search terms can lead to a better quality of traffic. • Be sure to include keywords in Title tags and snippets while making sure they are natural, relevant and will motivate prospects to click on your page from search result pages.